Background: I had undertaken an exploratory study of the dementia/ Alzheimer coverage in the top Hindi and English newspapers to see how existing coverage may contribute to awareness/ support. In part 1, I documented my selection of newspapers how I gathered articles, and some initial analysis based on quantities (read part 1 here). In this post, part 2, I share my content analysis and suggestions. The (uninterested) general public: Typically persons who know nothing or very little about dementia. They may have seen persons with dementia symptoms, but and are not looking actively looking for information, and may not find the information useful. Desirable outcomes for this profile are increased alertness towards symptoms, better diagnosis-seeking behavior, and more supportive attitudes towards families living with dementia. The solution-seekers: These are persons who are concerned about dementia, typically because they or someone close to them has dementia. They are likely to read anything connected with dementia and will probably notice the word even if it is buried deep in an article. Desirable outcomes for these persons are better ability to live with and support dementia, reduced stress, reduced sense of isolation, and more willingness to share their experiences. For the analysis, I looked at the full set of articles using two different perspectives. The various types of articles, the proportion in which these types appeared, and their typical coverage of dementia. The aspects relevant for spreading dementia awareness and information in the public, and checking how effective the existing coverage was with respect to each such aspect. Articles related to wellness/ health/ miracle-advance in medicine/ research studies: This was the largest category of articles, both in Hindi and in English. The percentage of articles in this category was higher in Hindi than in English (61% compared to 44%) as shown in the table alongside. Most of these contained only the words dementia/ Alzheimer’s or a small phrase about them, mainly focusing on memory loss. Some had sensational, confusing, or misleading titles or content. A few contained a bit more detail, but often these were complicated and buried. Announcements/ reports of events and inaugurations around Alzheimer’s, or some related field (e.g., geriatrics). These typically related to World Alzheimer’s Day functions, conferences, release of reports, and were mostly in the months of September/ October. These formed 10-14% of the articles in both Hindi and English (see table). Article scope was often a mix of things such as names of experts, event venue and topics talked about, dementia statistics, etc. Some also included layperson-friendly information on dementia symptoms, risks, and the diagnosis process. Current news articles that contained some mention of dementia. These were an assortment of celebrity news, crime news where some party had (or claimed to have) dementia, drug company news, business news, reviews and award announcements for movies, books, etc. The Hindi newspapers had a far lower percentage of articles in this category (around 10%) compared to the English newspapers, where they were a significant 36% of the total. Most such articles only contained the words (dementia or Alzheimer) or the standard phrase on ‘memory loss’. General articles that mentioned dementia. These included personal essays, or special health features. They formed around 8-14% of the total coverage (see table). Many of them gave at least some useful information on dementia or care, and some were very useful. Other articles that mentioned “dementia” and “Alzheimer”. These included many where these words were used as part of normal language to connote forgetfulness/ unacceptable behavior, etc. Some of these mocked politicians or complained about systems or used the words to joke. They formed around 1-2% of the total coverage in both Hindi and English. 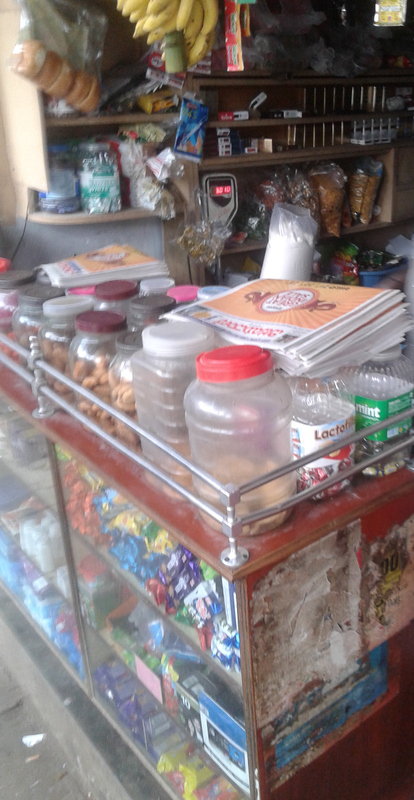 Current newspaper coverage is encouraging in terms of basic exposure to the words, both in Hindi and English. “Dementia “and “Alzheimer” seem to have become part of lists used in wellness articles along with other serious conditions (diabetes, cancer, etc.). Studies on dementia are being reported, too (though far less in Hindi than in English). Exposure/ familiarity are a good foundation for an awareness drive. However, they work only if the usage is positive and if these are supplemented with availability of enough reliable and usable information. Around 73% of the articles only contained the word dementia (or Alzheimer) or used the context or a shorthand phrase/ context to imply one aspect of dementia.In the Hindi pieces, the most emphasized aspect was forgetting. Other phrases indicated age-related illness and mental illness. Typical phrases were: भूलने की बीमारी, स्मृति लोप, याददाश्त की कमजोरी, स्मरणशक्ति की समस्या, बढ़ती उम्र की समस्या, दिमागी बीमारी, मानसिक बीमारी. A scant few articles mentioned brain and cognition, often using rather Sanskritized Hindi: संज्ञानात्मक (ज्ञान संबंधी) गिरावट, मानसिक क्षमता ह्रास, बोध क्षमता, संज्ञान से जुड़ा विकार, मस्तिष्क का क्षय. Anecdotally: I asked some middle class persons what they understood by some phrases (संज्ञान , मानसिक क्षमता ह्रास, cognitive impairment, neurodegenerative disease). Many had no idea of the meaning. None of them could come up with examples of behavior changes they would be alert about. I queried about “memory loss”, and almost everyone told me they suffered from it. Misplaced keys, forgotten activities, and forgotten names of people and movies were quoted as proof. English newspaper coverage also mainly mentioned memory loss, age-related, and mental-illness, but other phrases were fairly common, too, such as: cognitive decline, cognitive impairment, neurodegenerative disease, etc. All in all, these one-phrase depictions don’t inform laypersons what to be alert about, or how dementia/ AD symptoms may be similar to or different from old age. Terms like memory loss and old age are too all-encompassing for practical use. On a related note: In both English and Hindi, this over-identification with forgetfulness has some very unfortunate implications because of the tendency of people to use it to mock/stigmatize. More on this later. While many articles talked of the need to avoid getting dementia, or suggested superfoods or healthy living/ active ageing for this, they did not explain dementia symptoms, duration, progression, and challenge clearly enough or explain why it was considered serious. Of the articles studied, only around 6% explained some of the dementia symptoms in friendly, understandable ways that I considered helpful to laypersons. Many aspects of dementia were neglected in almost all articles, such as the duration, progressive nature, the changed and difficult behaviour, possibility of early onset, possibility of initial symptoms other than memory loss, increased dependence and reduced mobility in later stages, etc. As pointed out earlier, the “memory loss” aspect was repeatedly emphasized. This, along with missing or minimal mention of other symptoms, resulted in very unrealistic depictions. Seriousness of dementia was conveyed using terms like “debilitating” condition, “battle”, “throes of dementia”, “afflicted” and “suffer”, but these terms, in the absence of explanations and examples, do not increase the readers’ understanding or appreciation of the difficulties of dementia. While articles with wellness advice and general interviews with doctors included some useful tips for reducing risk, and also discussed treatment, they were also sometimes misleading in big ways and small. Misleading presentations of study reports are more problematic. Articles often presented the result of a single study as if talking about a well-tested cure or an established medical fact. Sensational headings were common and tended to be simplistic and misleading. Even if the article text was balanced, the title’s dramatic impression could linger. In Hindi newspapers, many of the translated research-related articles were heavily abbreviated; they did not include the disclaimers and nuances present in the English equivalents, and hence can confuse/ mislead. Some study reports were useful; they reminded us to adopt healthier lifestyles. Interviews of experts (doctors, nutritionists, others) for health/ active ageing, or specific interviews for dementia. Some such articles combined medical information from a doctor with non-medical advice (such as claims regarding superfoods/ herbs); combining the two in one article may be seen as approval by the expert quoted elsewhere in the article. Some experts were quoted as saying that following their advice will “prevent” dementia. To most laypersons, “prevention” means never getting the disease. Sometimes articles claimed (and even quote experts) that treatment will stop the disease or cure it. This could make people think dementia can be reversed. In summary, some articles contained useful information on risk, treatment, diagnosis, but many of them also included misleading information. In articles quoting experts/ doctors, such misleading/ wrongly quoted tidbits are more believable, and hence more harmful. Unfortunately, there were almost no articles that explicitly busted myths or squashed misleading claims or clearly and firmly corrected the misquoted expert-speak. Articles in this category: Just 22 (around 9%) in Hindi fell in this category; there were many more (137 articles, around 33%) in English. This could be because the persons reported about in Hindi newspapers are not of the profile that admits to having dementia, or the creative works of interest to Hindi readers do not depict someone with dementia. The possibility and challenges of dementia also hit harder through articles where families/ acquaintances describe their personal dementia-related experiences. Articles in this category: I found fewer than 5 Hindi articles that presented real-life care situations (this is too low to even consider what the proportion is). The number was better in English– 30 articles, (around 7%). Such articles often involve locating and interviewing families, which means more effort. Hindi lags behind English in this. Many personal stories were featured in city supplements of newspapers, not in the main newspaper, and were available only in some cities, limiting their visibility. Prevalence is sometimes conveyed using statistics. Such mentions were often associated with event reports, and more visible in English newspapers. However, most readers don’t remember population and ageing numbers. They do not mentally convert national prevalence figures into an understanding of how prevalent dementia was in terms of people around them. These are just large numbers, and they don’t even remember the units of the numbers after some time (was it a lakh? a million? a crore?). I, therefore, do not consider such coverage effective in conveying (at an emotional level) that real people–we and those around us–can also get dementia and face major challenges. Mention of caregiving in dementia articles, if present, was usually perfunctory and confined to platitude-filled sentences. (“They need love and care.”). Some articles included general advice on care or some tips/ comments by experts. Another source of care information was articles where people share personal stories or when a news item describes challenges that families faced because of coping with dementia. Articles in this category: Around 14 (around 6%) in Hindi, and somewhat better in number/ proportion at 56 articles (around 13%) in English. Even articles that carried some care-related information/ experiences did not provide a comprehensive view of care. They usually ignored aspects like the extent and type of care, and how to prepare for it. They did not mention counselling, training on care skills, resources, etc. Even collectively, they did not have enough detail for caregivers to appreciate the range of care-related work that needs to be planned for and done, and how to proceed. The much lower coverage of the care aspect means readers don’t think about how dementia may impact the family. Seen along with other coverage gaps, newspaper coverage ends up depicting dementia as some sort of memory loss problem that can be stopped or removed using medicines and love. Worse, dementia and Alzheimer are used to mock people, especially politicians. In one instance, some workers of one party sent Alzheimer pills to a senior leader of another party as a “unique” protest. Jokes and accusations are increasingly made about politicians having Alzheimer’s. Such pieces seem more interesting than staid interviews and fact-filled articles, and get shared and liked on social media. This usage is damaging and difficult to stop. Both in Hindi and English, only around 9% of the articles were reasonably useful for laypersons to learn about dementia and care. However, the quality of usefulness was somewhat higher in the English articles. Many articles, including useful ones, contained a least some misleading/ confusing information. I tried to locate articles where the confusing/ misleading element seemed serious enough to (in my opinion) increase the chance of harmful beliefs or decisions. I categorized 15 Hindi articles (around 6%) and 12 English articles (around 3%) as harmfully misleading. Also, some articles directly stigmatized dementia. I found 4 Hindi articles and 10 English articles in this category. Note, too, that the quantity of articles in Hindi is much lower. Considering the overall picture, we have roughly 2-3 reasonably useful articles per year per newspaper in Hindi, and around 12-14 reasonably useful articles per year per newspaper in English. None of these useful articles provided comprehensive coverage. Put together, too, the total coverage misses many important aspects of dementia and care. On the whole, the quality and scope of coverage of the useful English articles was better than that of the useful Hindi articles, and the misleading tidbits based on studies were fewer in English. English articles also did a better coverage of the care aspect and had more coverage that could make dementia seem more real to readers. But stigmatizing usage of the word was high. Use every event and occasion to disseminate usable information about dementia and care in simple, understandable language. When talking of dementia, take care to also convey the serious aspects of dementia and care, not just “memory loss” or initial symptoms. Talk about challenging behaviors, late stage dependency, the duration of dementia, progression, etc. Use examples and simple language. Take active steps to avoid being misquoted or quoted out of context. Often reporters, because they do not understand dementia well enough, miss nuances and hence inadvertently mislead readers because of the way they frame a sentence or select sentences from a larger interview. Make the reporters’ job easier and less prone to error. Provide reporters material they can directly use in sidebars and as explanations. For expert interviews, opt for e-interviews and ask that you be quoted verbatim, and that if any paraphrasing is done, it should be validated with you. In some cases, reporters may even agree to show you the section of the article draft pertaining to your interview, especially if the interview is a long, informal phone chat and the article is not being rushed because of a deadline. Improve visibility for family experiences of living with dementia/ supporting dementia. Talk about the critical role of care, the planning and work it requires, and the support available. Help reporters locate and contact potential caregiver interviewees. Some reporters/ writers have a family member with dementia. Encourage them to write general articles and help them do a good job. In general, try to get useful coverage throughout the year, including coverage in the main sections of the paper and not just city supplements. Develop terminology in Indian languages that is easy to understand, non-stigmatizing, and yet does not water down the seriousness of the problems faced in dementia. That way, reporters will have a set of words/ phrases to use and will not end up using stigmatizing words or words that trivialize the problems. Try to get coverage in Indian language newspapers. Invite their reporters for events. Provide them press releases to use even if they cannot attend. Actively seek reporters/ writers of Indian language papers to write general articles included. Help them using various ways (as discussed earlier) so that they can write more effective and useful articles. Appreciate the problems of translating and abbreviating study reports/ research-related and find ways to dispense more balanced information on such studies. Directly counter/ debunk wrong information when talking to reporters or addressing gatherings. 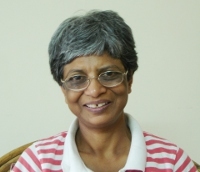 Related blog posts: Newspaper Coverage of Dementia in India: An Exploratory Analysis (Part 1) and Dementia Awareness in India: What level is it at? Readership and Circulation data links: Wikipedia page on newspaper circulation in India, , Wikipedia page on newspaper readership in India, . For this study, I tried to understand how newspapers in India mention and explain dementia and related care and how effective their coverage was for spreading awareness and useful information to laypersons. Through my study, I looked at quantity, quality, and scope of coverage of the published articles. I then placed them in the context of awareness and support to laypersons. I found a vast difference between the coverage of dementia in Hindi newspapers and English newspapers. Coverage in Hindi was much, much lower. It was also different in the mix of article types. Given that Hindi newspapers lead in both readership and circulation in India, understanding more about this aspect can be very useful. The scope of coverage of dementia and care omits many important aspects related to dementia: As such articles that mention dementia (or Alzheimer’s Disease) increase familiarity with the term ‘dementia’ and imply a serious medical condition. But in the articles studied, most stayed at this level–they just mentioned the words or added an accompanying shorthand phrase (typically “memory loss” or “भूलने की बीमारी”). That is, most articles did not provide any friendly description of the symptoms or other aspects of dementia or related care. Even the very few information-carrying articles available ignored or barely mentioned important aspects such as the range of changed and difficult behaviors, progression and duration of dementia, the critical role of care, and what caregivers need to learn and plan for. Misinformation, myths, exaggerated claims, and misleading headlines were common. They could be seen in all types of articles, even informative ones. Such misinformation can mislead, or even harm, negating a lot of the benefits found in some of the more useful articles. Some stigmatizing depictions were also present, often in catchy and witty ways that can “stick”. The findings can help identify many actions that can improve coverage in newspapers. For example, interviewees and speakers can counter stigma and debunk myths. They can be especially alert while communicating concepts that reporters tend to misunderstand/ misquote/ misrepresent. Reporters can be given supplemental written material to help them write more useful articles. Areas that are typically not covered in articles can be specifically included while interacting with reporters. The Neilson readership survey, 2014, shows that daily newspapers are a big part of media consumption. Reading newspapers is part of the morning ritual for many literate people across social and economic classes. Many readers any assume anything printed in a newspaper is correct. This makes newspapers a powerful medium for reaching out. Editors commission and approve articles based on the availability of information and events to publish (supply) and what they think readers want or like (demand). Useful articles result in desirable outcomes and form a reinforcing positive loop. Desirable outcomes include better diagnosis-seeking, better coping/ supporting/ living with dementia, openly sharing experiences, and removal of negativity and stigma. This means increased dementia-related demand, and perhaps some corresponding increase in the availability of services and events. All this in turn increases demand for informative articles and event reports, hence the chance of more pieces being published. Misleading or stigmatizing articles form a reinforcing negative loop. Some articles are unproductive and harmful. They mislead readers by giving wrong or confusing information, or by stigmatizing the condition. This creates undesirable outcomes. Families may hide dementia and related challenges, or face criticism from others. Jokes and mockery pushes families into silence. Newspapers may pander to this aspect and increase sensational or stigmatizing portrayals, or may assume there is no demand and reduce all coverage. My study looks at newspaper coverage in quantitative and qualitative terms to get some idea of the current status, and to explore how coverage can be changed to create a stronger positive loop. using the observations to derive suggestions for making newspaper coverage more effective for dementia awareness/ support. This was a single-person desk-based study, not validated by anyone. My observations on content are influenced by my perspective. I have shared my salient observations for others to consider, and explore further, or do independent studies, etc. Obtaining links from the newspaper’s search feature using various search combinations. Supplementing this set with Google advanced search where I looked for the words within the newspaper site. For English, the results were too many and full of duds, so I confined myself to the past one year (2015). I checked each search result page from Google till I had processed all search result pages or reached a point where two consecutive search result pages yielded no new link. Limitations: (1) This approach cannot collect print articles that have not been made available online. (2) It depends on various search engines to locate relevant pieces. 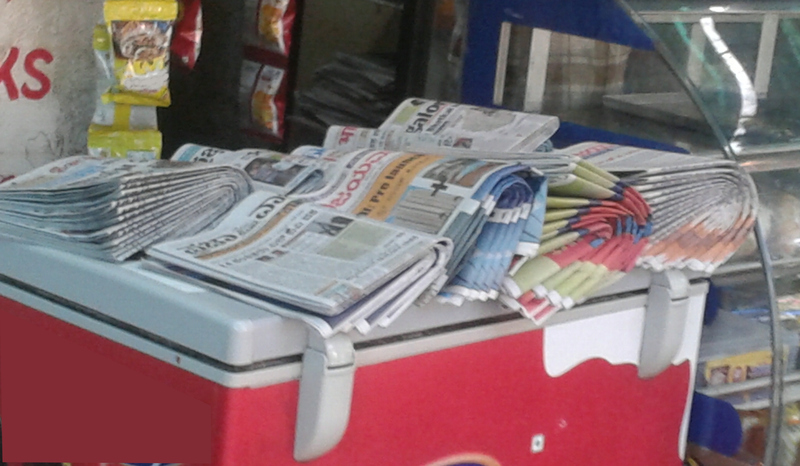 Different newspapers used different approaches for their online presence. They differed in terms of what they make available online, how much old data was available, and their search interface and options. Searching the Hindi newspaper sites was especially tricky and did not work well for some newspapers, but fortunately, Google advanced search worked very well. I obtained different but overlapping results from the two search methods I used (newspaper site search feature and Google advanced search). Fortunately, by combining the multiple searches, I was able to get a good base of articles within and across newspapers. These results represent the type pf articles in the newspapers and also give an approximation of the proportion between various article types. I got 234 articles from Hindi newspapers. These were the articles I retrieved from all the three top Hindi newspapers, spanning whatever was available online across the years. (Note: different newspapers had started their online archival in different years). Since all newspapers had archival in place for more than three years, I combined the results to see data for last three years (2013, 2014, 2015). The distribution was: 48(2013), 46(2014), and 78 (2015). Search results were much higher for English newspapers, so I confined my English-article study to articles published in 2015. I got 419 articles from English newspapers for all the three selected newspapers, pertaining to one year (2015). The newspaper-wise numbers of retrieved articles was: [TOI]: 134 articles, [TH]: 195, [HT]: 90, all pertaining to 2015. To get an idea of trends, I tried searching for data corresponding to 2010 also, but was only able to obtain it for one newspaper, TH: I obtained 195 results (for year 2010). Hindi coverage (in quantity) is well behind that of the English coverage. The article count I got for 2015 was 78 for the top three Hindi newspapers, and 419 for the top three English newspapers. Even taking into account the fact that the searches may not have helped me retrieve all the articles, this difference is significant. The data does not confirm that coverage is increasing over the years for either Hindi or for English newspapers. The Hindi newspaper article counts for the last three years are too low to state that the 2015 figure indicates an upward trend in Hindi newspapers and is not just a fluctuation or a result of a changed archival method. The only English newspaper data available (TH) showed no change from 2010 to 2015. As an ex-caregiver who tries to help other caregivers, I continue to be dismayed by how unprepared and unsupported families are through years of exhausting and heart-breaking dementia caregiving. Many families never get a diagnosis. Even those who get a diagnosis rarely get a realistic picture of how much they need to plan, what changes they will have to make in their lives, and how absent systemic support systems are. Again and again, I find families clueless about the deterioration dementia brings. They do not know that dementia will keep worsening and that the person will become almost fully dependent. They have not registered that they will be using more and more of their time and money and energy for care. They often think dementia as memory problems; they do not know the person’s abilities will keep reducing. This will go on for years, and during this they will see the person deteriorate in heart-breaking ways. They start this journey unprepared, with no one holding their hands. Almost all dementia care in India happens at home. Advice given to caregivers assumes many things about what families can afford and the time they have for caregiving. Families do not get a realistic picture for effective planning. They remain unaware of many potential problems. Possibly the advisers themselves do not understand the overwhelming and prolonged nature of care. And advisers do not appreciate that 24×7 home care differs from a day job of a trained professional who is part of a multi-disciplinary team. So a lot of their well-meaning advice is impractical because, though good in itself, the advice does not fit the family’s care context. The fact is, dementia awareness and support in India is so poor that family caregivers have to create their own group of supporters. They have to plan for dementia caregiving and also for self-care. They have to plan finances for a marathon stretch of increased costs and reduced incomes. They have to see how to take out the required time and energy for years of care. They have to prepare for the emotional journey of caring and their stress and fatigue. They have to appreciate the limitations of the systems and support around them, and have realistic expectations. And all such planning has to be done early, because they will not be able to do much planning once they are submerged in intense caregiving. Home care for someone with dementia is not a simple short-duration activity. Care happens for several years, and in the context of the culture and society and the family’s other obligations and desires. Many long-term decisions are made. We need to view dementia home care as part of this framework in order to understand and plan it better. We have to appreciate the limitations and then seek practical answers. I have been mulling over this for a while now, and recently I put together my thoughts on such a framework along with some suggestions for caregivers and volunteers. Alas, there are far too many problems, and very few solutions or suggestions. I am not sure how much my presentation will help viewers, but it will surely give them something to think about. Maybe it will prompt families to derive practical approaches for their care situations. Maybe volunteers will find better ways to support families. You can view the presentation below, or view the presentation directly at Slideshare if the player below does not load properly. From the comprehensive website for dementia caregivers in India: Caring for dementia patients and Dementia Home Care: An Overview. Information on current dementia prevalence in India and future estimates are published in various national and international reports and papers, as are discussions on the problems faced and possible actions. However, most such reports are long and dense, and reaching the relevant sections is not easy. As part of my content creation work, I have put together some salient points from across these in the form of an infographic that is quick and easy to read. The infographic is uploaded on Slideshare and can be viewed in the player below (or directly on Slideshare at this link). The slideshare link as well as the player above include options to share the infographic. You can also view the full infographic on the Dementia Care Notes site at Dementia in India: An overview. The page includes various ways to share the infographic or include the code on your site. As a caregiver for many years, I have shared my personal experiences and related musings about dementia caregiving through over 200 blog posts (see them here). I now work actively in the dementia domain (my work and how I support). I have also created resources for volunteers in the dementia domain. Persons who want to support dementia care in India need helpful and practical projects they can take up. These projects should match their inclination, time, energy, and skills. This post is about my effort to create a set of potential projects they can consider. First, some background. Many persons feel they should do something for caregivers. Unfortunately, very few are able to convert their intention and enthusiasm into action. Often, when they realize how much needs to be done, they become unsure about what specific actions can help. They want to make a difference, but get discouraged or intimidated. They then get busy in other work, or use their energy for some other cause that seems easier to contribute to. A lot needs to be done to support families coping with dementia in India. Some of these are major initiatives, such as at the policy and Governmental levels. But individuals, NGOs, professionals, and organizations can also do many things, even with limited time, energy, and funds. Small, clear, well-thought actions can make a real difference to at least some families. Such actions are practical, and also give great satisfaction. On the other hand, volunteers can get discouraged if they aim too high because they cannot pin down how exactly to achieve that goal. They are not able to get visible results that match their high expectations of success. So they feel overwhelmed and helpless and eventually give up. I am therefore collecting and documenting a set of do-able ideas suitable for varied types of potential contributors. I will make this document/ presentation available online. I hope this document will provide existing and prospective volunteers at least some ideas that appeal to them and that fit their energy, funds, availability, and personality. Please note that I know that we need broad visions and missions and nation-level strategies and actions. We need to “spread awareness,” “support caregivers,” “ensure early detection of dementia,” and “make dementia a national priority” and so on. These visions and missions require major actions by well-networked, well-informed persons who have the required time, energy, funds, etc. But for my current project, I am not looking at lofty intentions and large national or international scopes. I seek easy-to-pick-up ideas that can be done at a more modest and practical level. Ideas that persons reading this blog can think about doing. Fund the translation of a dementia information brochure from one language to another, including funding the translation and the cost of experts validating that translation. Share your caregiving experience through comments on sites where you can share without violating your privacy (maybe anonymously). Decide to do so once a week (or month, whatever suits you). Basically, I am starting a project to collect and document dementia-related ideas that are useful, doable, and give a sense of completion and satisfaction. Ideas you can pick up one at a time, do and complete satisfactorily, and either stop or pick up one more idea. What I am doing: I am using my notes as well as published reports and papers (national and international) to get a starting set of ideas. I am trying to recognize do-able components of available ideas, and then select what seems important, useful, and practical to do. I am gathering data on successful initiatives and prototypes to add to this idea list. Send ideas you consider practical to do. I’m sure anyone concerned about dementia has many big and many small ideas; send me ideas that you think fit my request. If in doubt, send the idea anyway. I hope you will help. Think of something useful that can be done even with limited energy and resources, even with constraints. Consider specific ideas where you can imagine someone achieving an end result in a short time frame. Then add a comment below (you don’t have to give your name if you prefer anonymity). Even sharing such ideas as comments may help others who are looking for project ideas. Of course, you can also email comments to me (see my contact information here). Please share this post with anyone you think may be interested. Resources for persons who want to support dementia caregivers in India. Caregivers need support groups but often find it difficult to get away from their responsibilities and attend an in-person group. Their available free time may be too small a slot, or may not match the time of a scheduled support meeting. The more overwhelmed and stressed the caregiver is, the less likely it is that this caregiver can reach an in-person group. This situation is really sad because support groups reduce caregiver isolation and provide a safe forum to exchange stories, problems, and suggestions with each other. Attending even a few meetings can transform how caregivers perceive their situation; they start finding the challenges more bearable, the changed behavior is taken less personally, and they are able to use suggestions they get from others and even generate creative solutions themselves. Given the practical problems related to attending in-person groups, we need to examine the use of online forums for caregiver sharing and support. I am using this blog post to share my observations and thoughts, and give my suggestions, based on a number of online support groups that I have been part of–some as an active participant, and some as a lurker. There are many types of online caregiver forums. At one end of the range, there are large forums that have structure and moderation and are handled by a group of committed persons/ some volunteer organization, and continue for years. And then we have small, informal groups that some caregivers form to stay connected and support each other, with membership varying from five or six to around fifteen or so. In the last five years, I have seen many instances of caregivers creating their own online groups. Some groups emerged after caregivers met during some face-to-face support group meeting or caregiver training and decided to stay in touch online. Others emerged when caregivers happened to meet online and decided they needed to get together for mutual support, and therefore gathered a group by bringing in friends (and friends of friends) or using social media. These groups were relatively informal with no active moderation. While some members were volunteers or professionals were included, they were not present in the capacity of a moderator or administrator or even an expert, just present as members. Firstly, the groups were typically very fast to set up. Some caregiver would tell another, let’s set up something to stay in touch, and then a few of them decided on a technological platform they all were comfortable with and plunged in right away. I’ve seen email groups and Facebook groups (but not bulletin boards) getting kicked off and working full steam within days of someone suggesting starting a group. The initial momentum was heartening. Caregivers were clearly eager to get and give support and they openly shared their situations and problems, and were generous to each other while empathizing and sharing suggestions. Conversations were meaningful and it was clear that a rapport was building. Of course, the usefulness of the group depended on the members’ availability, involvement, knowledge, and degree of articulation, but definitely most members found the groups helpful. However, the tempo faded after a while. Participation died down even though no one specifically unsubscribed. Some queries got no responses or just perfunctory responses. Queries stopped after a while. Some subsets formed when two or three caregivers began corresponding directly/ established phone contact, but the online forum was no longer active. One typical characteristic of these small informal groups was the lack of detailed rules and active moderation. This initially added to the sense of friends getting together, an informal air, and worked in some groups, but not in others. There were problems, too. Everyone was not happy with the group; some even got stressed by it. Here’s one example. One caregiver (I’ll call her AAA) was handling an aggressive parent with dementia alone, day and night, and did not have an attendant to help. Siblings had moved away and would not call. None of the other caregivers were facing such a severe challenge; they had at least some family or helper support, and not all were actually handling the daily care tasks. When AAA would post her problems and others responded, she was very unhappy with the responses because she found the responses obviously impractical given her situation (take a break, get help from your sibling) or she felt dismissed because someone would tell her to lighten up (don’t take yourself so seriously, have a good laugh instead, you’ll find it funny when you look back at it later). After a few such responses, AAA wrote directly to me to say that the group stressed her because she had expected at least fellow caregivers to understand her problems, but now she felt even more isolated. She felt the group was not a safe space for her to unburden herself or seek help. She stopped participating there, and she and I continued our interactions on a one-to-one basis using email and phone. It was ironic and unfortunate that a support group increased her isolation. I think one problem is the way we respond to online interactions. An in-person support group meeting is an immersive experience; caregivers see facial expressions and hear the emotion in the voices when problems are shared. Even if someone’s situation seems very different from their own, the face-to-face interaction makes it easier to pay attention and feel empathy. Selecting an appropriate response is easier, and it is easier to see when to avoid humor or realize what could sound preachy or trite or judgmental. Suggestions and comments are therefore better worded, longer, and supplemented by gestures and facial expressions that reaffirm the spirit of support. On the contrary, in an online forum, people may not read posts/ mails carefully, or may type a hasty reply without grasping some key facts from the original post, or may sound harsher than they intended to. Or, even if they write well enough, the person reading it may be oversensitive about some phrase or suggestion, and feel hurt. My impression, based on my (limited) experience, is that small, informal online groups function better if the members have met each other or talked to each other before interacting through the forum, because even a few earlier interactions or in-person meetings make them more willing to share experiences and create trust. They are also less likely to take offense or interpret responses as put-me-downs. The problem AAA faced is only partly because of the characteristics inherent in the online mode of interacting. There are other factors, too. We use the word “caregiver” as if all caregivers were the same, but there is a vast diversity in caregiver situations. A small, informal online group of diverse caregivers does not include enough members who can understand and support each other for every type of care situation. Another thing that made me uncomfortable in some of these groups was when members posted specific suggestions and advice on medication and alternate treatments. These alternate approaches were projected as medically sound, but were recommendations that I knew were scientifically suspect. Data posted to counter the claims was seen as obstructing “helpful” advice. I felt that this was the sort of situation that would typically warrant intervention by a knowledgeable moderator, but the group was not structured for moderation. None of the groups inducted new members except for a token few in the beginning. Meanwhile, existing caregivers “moved on.” Caregivers don’t need help from the group once the person stabilizes and they get the knack for handling the situation. Or if the person reaches a different state for which the existing support group is irrelevant. Or the person dies, and the caregiver has to resume a career or rebuild a life. My impression was that existing members were not keen on new members because that would be adding an unknown factor in a group that had some sort of rapport. Let me now share some observations based on a much larger, structured group with formal rules and guidelines on what sort of posts and language are allowed, and with moderators overseeing group functioning. Members include several caregivers coping with diverse care situations. As in the smaller groups, I saw the participation of individual caregivers change a lot over time. Some rarely posted; others posted actively for some time but then reduced participation or even stopped it; some were sporadic in participation. However, as the number of caregivers was very large, and as new caregivers kept joining, the interactions remained vibrant and helpful. No query remains unanswered. The moderators, too, actively participated and keep the flow of exchanges going. No group can be free of misunderstanding, and I did see occasional posts that seemed judgmental or harsh but usually some other member or moderator responded almost immediately to express enough empathy with the original poster and related query, thus diffusing any possibility of hurt. Inconsiderate comments were not tolerated. Spam messages or misleading promotion of dubious cures were similarly handled by moderators and other group members. As I write mainly out of concern for caregivers in India, I must note one problem: the membership in the larger caregiver forums is usually from outside India, and many of the queries and comments assume a very different culture and very different types of system and support. Discussions on end-of-life care, legal and financial issues, use of services, availability and regulation of helpers, all are based on a very different set up. That means many suggestions can be used only partially. So what can I suggest caregivers in India who are looking for online support? Firstly, online support groups as such are definitely worth considering. Online groups provide 24×7 availability of a forum to post. The sense of community helps. You may get empathetic responses and feel less isolated, and you may get some useful responses. If you already know some other caregivers with whom you share some trust/ rapport, getting together and creating an informal online group is worth considering. Of course, expectations need to be limited, and such groups may not suit caregivers whose situation is very unusual and different from that of all the existing members. And members need to understand that such groups cannot be depended on for medical advice. Also, please do look at existing dementia forums/ caregiver forums run by volunteers/ organizations/ groups of concerned persons. They will reduce your sense of isolation and give you some idea of the problems and solutions others use. Even when the exchanges in such forums don’t always suit your context, they could contain useful pointers. Also, look for online support groups set up for special situations, such as for specific types of dementia (Lewy Body, FTD). A good approach is to join multiple groups, and understand which type of need each of them can meet. Use these groups depending on the fit, participating according to where you feel comfortable sharing your problems and also sharing your suggestions for the problems others face. Here are a few things to keep in mind before participating in an online group. Groups have different degrees of privacy, and even if a group is supposed to be private and if posts are kept private and confidential as per the technical platform used, ultimately the actual implementation depends on the other members, too. If you are posting something very personal, and are very particular that no one should be able to link your posts to you, consider groups where you can use a pseudonym and do not share details that could identify you. Some groups (such as groups on Facebook) may be confidential, but you need to enroll with your real name. Members can click through your name from a post you made in the group and see your public profile. Keep that in mind if that seems to be a problem to you. Also, in very large groups, keep in mind that your family members and friends (or their friends) may also join. Keep that in mind when posting details or rants. Well, those are my thoughts and observations related to caregivers considering online support groups, and I would love to hear from you about what your own experiences have been on the effectiveness and usefulness of such groups, or your suggestions to caregivers on this. If you are a concerned person trying to help persons living with dementia, you may be considering setting up an in-person group or an online group. I have created two draft documents that put together my thoughts on what setting up and running online groups and in-person groups involve. Both these documents are available online and also for download, and you can refer to them. I would appreciate any comments you have, so that I can refine the drafts and release improved versions. The page where you can view the documents or download them is here: Create dementia care support groups (includes download). The two individual documents are available for download at Setting up and maintaining an online caregiver forum to support dementia caregivers (PDF file) and In-person Dementia Support Group Meeting Guidance Document (PDF file). I really would like to hear from you, either as comments below or as an email (check my contact page to know my email id). It’s over six years since I started sharing my experiences and thoughts on dementia care, and it has been a strange, unexpected journey. As I step back a bit to consolidate, I’m using a two-part blog post to document what I’d done so far and what I am considering for the future. In this part, I write about what I’ve done so far, what influenced my choices about sharing and my chosen way of sharing, and some data on where I am right now. My mother’s dementia symptoms had no clear onset; they crept up and kept growing till they took away pieces of her life and mine. I was clueless, unprepared, and unsupported. The dementia symptoms were devastating enough, but the lack of awareness and support around us made coping far more difficult. Even when my mother’s dementia reached mid-stage and she required full-time attention and availability, people around me were disbelieving, critical, or busy in their own work and priorities. Sometimes my mother and I would end up spending stretches of days with no one but each other for company. I was perpetually exhausted. The nature of my participation began changing slowly, over the months. Whereas earlier I read books, and attended courses and support groups to pick tips for myself, I began doing so to share with others and support them. I equipped myself by reading voraciously, exchanging ideas whenever I could, and even attending a “master trainer” course, intended to “train the trainer.” My understanding improved, I felt more involved, and my canvas widened. I was still performing the actual care tasks for my mother on many days, and coordinating them on others. I had to remain alert about crisis, and available at short notice, but my support had improved because my husband had adjusted his travel and workload so that we could take turns/ share the work, and I had also got a competent attendant who genuinely cared for my mother. It was possible to take out some relatively worry-free hours for other work. So there I was, feeling more involved and determined to do my bit, looking for ways to contribute. Blogging and content creation seemed a good way to do so. My online work has essentially been built as a series of small steps, all done from my desk at home. I picked up work I could usually break up into pieces I could squeeze into available time, stopped when I was busy with care and other responsibilities, picked up when I had some spare time or energy. I could pace my involvement. My blog was a collection of random personal thoughts, and as my blog picked up pace, I began thinking about the lack of structured material. I had always been unhappy that the available material on dementia care was not tuned for India because it assumed a different social context, a different culture, and a different level of institutional support. I thought about creating more suitable material but lacked the confidence to proceed. I was also unsure whether I’d have the energy to do a reasonable coverage. It seemed too vast a topic, and though I was better informed now, at times I felt like a helpless caregiver, not someone confident enough to undertake such a project. Even so, I sometimes caught myself mentally drafting material suitable for a caregiver in India, written from a caregiver perspective. And then, one day, I thought of a structure to fit those (still only in my mind) pages. I already had a personal site, and I could add a section on dementia to it. It was just a matter of typing what was in my mind. I took the plunge. A fortnight or so later, I had created a section on dementia on my personal website. This was around the beginning of 2010. I felt so diffident about my audacity (of creating material) that I didn’t do much publicity, and was scared someone would read the pages and find them useless or bad. But the stream of ideas would not stop. I felt I should have done more pages, a better and more complete job. And I felt that dementia care in India was a large and important topic that deserved a site of its own, not merely a side-show on a personal site. As before, I was not sure whether I wanted to do the work. I had no idea whether it would help anyone; I had absolutely no reason to believe anyone would even bother to read it. On some days I was scared that if I set up a website and no one came, my work would be a waste. On other days, I was scared that I would create something awful and full of mistakes and that someone (huge and powerful and authoritative) would publicly humiliate me for being presumptuous enough to create a website. I was apprehensive whenever I thought of it, which was often. Because, again, I was mentally drafting more and more pages of what such a site could contain. Ideas abounded, as did doubts. The site would need some illustrations; could I draw them? The site should include interviews; how would I get them, why would anyone talk to me? Would I have the stamina to put together so many pages? My caregiving responsibilities were increasing….Did I really need yet another stress in my life? I think it took around four months of mental drafts and structuring before I felt my brain would boil over if I did nothing, and so I began actual drafting. And it took some more time before I took the plunge to ask a volunteer I knew for some help in identifying caregivers who may be willing to give interviews. Then I picked up pace and started approaching some caregivers and others on my own, too. Creating online material required learning a lot of technical stuff and I did it in small packets. I remained conflicted about the whole idea: I was scared that I would be visible, and scared that I would not. I would work in spurts, then stop, never quite sure I would actually let the site go live. But the matter was now there, the background work done. One day I told myself, see, if it doesn’t work out, I’ll just delete the site. It’s not like I’ve taken any funds from anyone or that I owe anything to anyone. No one needs to know that I tried something and failed. So I tamped down my personal website section on dementia, and geared up to make the full-fledged website operational. Dementia Care Notes went live in the later part of 2010, a site reasonably complete but somewhat different from what it is today. There was barely a trickle of visitors for several months. I thought I’d sunk in a huge amount of energy into something useless. Worse, some site features required a lot of ongoing effort. For example, that initial site included a section with commentaries and summaries on latest published research papers, as well as promptly updated summaries of dementia-related news from India. This type of feature sucked up a lot of energy, and I started regretting my decision to have a site at all. No visitors, and a lot of energy being spent. What a fool I’d been. Dementia Care Notes was an English site. It took a while for me to realize that I should be considering a Hindi site, and also videos in English and Hindi. For every new type of content preparation and presentation, I went through the usual agony of hesitation, followed by weeks of mental drafting, and so on, before taking the plunge. I began creating and adding English and Hindi videos to Youtube around later part of 2011, one video at a time, with the video releases often spaced out by months. (Two channels: my personal interviews and videos with information and suggestions for caregivers ). My Dementia Hindi website went live in early 2012. Sometime along the line I realized that some of my material may be interesting to volunteers who wanted to help caregivers. So I put together a section for volunteers, this time on my blog (currently at: Resources for Volunteers). I hesitated a lot for this, too, but then as always I thought, if it doesn’t work out, I’ll just delete the pages. And I kept uploading my presentations on Slideshare, too, just so they were available if someone wanted to have a look. Very recently, I also began posting on a Hindi blog. My confidence increased along the way as I was able to connect with many caregivers and others, and thus able to improve/ validate my understanding. I kept amending and improving my material alongside, and I now make it a point to periodically review all my website material to ensure it reflects whatever I know and can suggest based on my updated understanding. But I also know that I am not an expert and that my knowledge can never be complete. Along the way I have ended up with more visibility than I feel comfortable with. This visibility has meant getting calls/ emails for an interview or so sometimes, or an invitation to speak at a conference or to coordinate a meeting. I go through an agonizing process every time I respond–on one hand, I know that, given my concern about this area, I should speak up, but on the other hand, I want to curl up and hide. I end up speaking, but I need a lot of preparation time to psych myself up for the event, and I need a wind-down time to recover. Each such interaction drains me. To create online resources, I have needed to learn several new skills; the effort has been substantial. I have done all the work alone, not just the writing. For example, I learned about setting up websites and hosting. I learned about WordPress and its plugins and themes, decided what would suit my site, etc. For illustrations, I had to conceptualize them, and learn enough about graphics packages to actually draw them. When I decided to create videos, I had to learn about audio recording and editing, and video recording and editing, screen captures, and so on. And then there were the loads of things needed to keep the site operational and safe and backed up and so on… As I did not know anyone else using a similar approach, I didn’t just have to learn the skills, I had to first identify which skills were relevant and locate suitable resources for them. The process was invigorating, but also somewhat lonely. I didn’t just learn based on what I wanted to make, I have been doing a lot of exploratory learning, too, so as to understand the possibilities and have a wider perspective about the context as such. I keep myself informed on areas directly or indirectly affecting my dementia work. I keep up-to-date with discussions, books, papers, and reports on dementia care, and also do small courses on topics that ensure I can follow discussions reasonably well; this includes health and medicine related areas and also areas on possible ways to convey messages–a vast range of topics like social psychology, critical thinking, online instruction, technology and media, and so on. Part of this helps me refine what I am doing; part helps me glimpse at potential areas of work; and part of it never gets used, but I don’t know what will turn out to be useful and what will not. I also respond to emails and interact on social media with caregivers, and once in a while, participate in conferences or training programs or support group meetings. I end up interacting with many concerned persons–volunteers, students, others. A quick glance at my email folder shows the emails exchanged run into thousands. And then there are the one-on-one face-to-face interactions with caregivers. It’s frightening. All said, the numbers I share above are not particularly large. Many persons have distinctly more impressive stats for their work, and bigger social circles, and more connections. Me, I’m constrained by my diffidence and lack of targets and ambition. All that inspirational talk on “be the change” and “be positive” and how people want to “make a difference” doesn’t touch me; my sole motivation is a sense that I have no justification to waste my knowledge and skills. I cannot face myself if I know I could have tried to do something and I let my self-doubt hamper me. I may not end up being as bold as others are, but I try to stretch myself to the extent I can. Someone once asked me, a few years ago, if I was satisfied with the stats and I had told him that, given that I had no reason to believe people would visit any material I prepared, the numbers were nice. The numbers were comfortably higher than zero, and zero is what the viewership would have been if I had chosen to not write. I marvel that I managed to get any audience at all, given that I was just someone typing away on her laptop. My situation is different now. Even though I still have no targets and no basis for specific goals, I am aware that my choices involve trade-offs. I have too many ideas, far more than what I had when I started off. I know that chasing one idea, such as preparing a particular document, means I won’t be able to chase a different idea or prepare a different document. While I am now moderately comfortable with existing projects, I am also aware that, given my personality, I will go through an agonizing bout of self-doubt for any new project; it is a cost I pay for every initiative I take. I feel the need to make effective choices, because I know how limited my time and energy are. I’ll use the second part of this blog post for my thoughts on my future modality and effort. I started sharing my experiences and thoughts on dementia and care online over six years ago. Even back then, I considered awareness to be the key component–that included informing the general public and persons handling services about dementia and related care. I didn’t realize then that even volunteers and professionals working in this domain, persons who were training caregivers and counseling them, needed to become more sensitive and informed about how tough it was to provide home care for someone with dementia. I’d heard the advice that volunteers and professionals gave caregivers, of course. They taught relevant skills like communication, but the advice also included material I considered simplistic and impractical. Nor did they pay emphasis on how tough the caregiver adjustment would be, how mistakes were inevitable, how emotional the journey was. Then, around three-and-a-half years ago, I heard a volunteer criticize caregiving families while addressing a group of would-be volunteers. This volunteer stated that families were “cruel” and “selfish” and blamed them because they did not take patients to doctors as often as the volunteer considered appropriate. Moreover, this person criticized caregivers for not spending enough time with the patients and not being creative enough, and compared this time and care to what professionals provided in institutional settings (the very, very few such facilities that exist). I was stunned to realize the extent of this volunteer’s ignorance/ disconnect with home caregiving realities. To me, the difference between the two settings–institutional and home–had always been obvious. In an institution, workers have opted for this career. They are trained, have the benefit of multiple specialists, and operate in a well-designed facility. They work for limited hours and have no concurrent roles and responsibilities while at work. They have no emotional past with the patient and are not traumatized because the deterioration is happening in someone they have know for years. And so on. Even a bit of thought would throw up a range of aspects in which the institutional care situation differs from home care. I could understand lay persons not appreciating this difference in situations, but I expected volunteers working in the dementia care domain to have a more realistic view. How could such a person be ignorant of the home care situation, and so judgmental? Clearly, even trainers and volunteers in this domain needed to be informed about dementia home care realities. 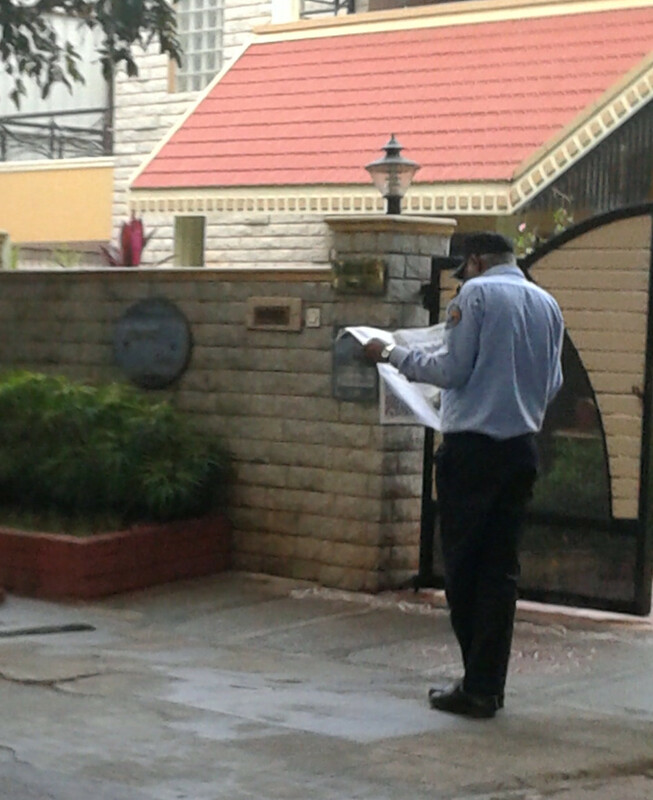 I began putting together a note on the context of dementia home care in India. It took some pruning and prioritizing to and redrafting to create a short, compact version. I uploaded this note on slideshare.net at Dementia Home Care: Context and Challenges in India. Initially I saw the note as something that volunteers and professionals may find useful to help home caregivers through relevant and practical advice. But later I realized that the note can also help caregivers. It could be used to get an idea of their role and how tough it may be. It could also help them understand what advisers may be assuming and know what they need to clarify/ explain in order to get pertinent advice. The note, available on slideshare at Dementia Home Care: Context and Challenges in India, can also be viewed in the reader below. I have continued to try and explain the realities of home caregiving to volunteers and professionals. This includes one-on-one discussions with volunteers when I hear them say something insensitive. If they seem open to listening, I share data and anecdotes on home caregiving challenges they may have missed. Sometimes I get a chance to present the family caregiver perspective to professionals in forums. Below, for example, is a recent presentation I made on caregiver issues and challenges. The presentation, available on slideshare at Caregivers: Issues and Challenges Faced, can also be viewed in the reader below. Much still needs to be done to improve the professionals’ understanding of home care realities. I continue to hear comments that confirm that even professionals who make presentations on caregiver stress have limited understanding of the range of issues and challenges and this results in their getting critical and judgmental, even blaming caregivers if the care is not happening in ways they feel is appropriate. I think this incomplete understanding of home care realities is partly because caregivers are unable to share their situations with honesty and in sufficient detail. Multiple reasons exist for this reticence, and not enough is happening to facilitate bridging the disconnection between families and professionals. The person who said this is very active in this domain and meets patients and families regularly. Now me, I’m not a caregiver any more; my mother is dead. Even when she was alive, I had stopped needing support and empathy from professionals many years ago because I created my own emotional toolbox to cope. My first reaction at this outburst was extreme discomfort. I want to get away from this conversation. Then I paused because I realized that this person would be continuing to meet patients and families and would continue to advise them with this poor understanding of caregiver challenges. I spent the next hour or so explaining things to this person using facts, concepts, anecdotes. Things such as how home care needed far more emotional adjustment and strength than institutional care such as what this professional gave. As for caregiving being a choice, I asked, “You say choice. What option do you think I had if I did not want to care for my mother? A choice means you think there are options. List the options for me.” Interestingly, this person kept repeating the “caregiving is a choice” like a mantra a number of times before realizing that there was no option, hence no choice. The conversation caught me unawares. I had expected this profile of persons to not need any explanation. Fortunately the professional was a good listener and ended the conversation thanking me, saying, “I think I am beginning to see what you mean; no one ever talked to me about these type of problems before.” Clearly the professional had heard families express overwhelm but had not heard explanations of why they were overwhelmed. To me, this confirms the Catch 22 nature of the problem. Yes, most volunteers and professionals don’t appreciate home care realities. But not understanding persons of a different profile is a common problem. The fact is, most of the times, we don’t invest time and energy to truly understand the life situation of others. Also, we don’t find it easy to appreciate problems that others face–we remain caught up in our own world views and problems. And yes, caregivers obviously want to be understood and respected, but they are also unable to explain their situations, either out of reluctance and privacy, or because they don’t trust the audience, or because they don’t have enough time for sharing their situation. Essentially, if volunteers and professionals do not understand and appreciate the home care realities, and if this stops caregivers from explaining their situation and problems, we have a logjam. Maybe if just a few families opened up, changes would begin. Six years ago, I started sharing my caregiving experiences online as a form of catharsis, but this soon morphed into taking active steps to spread awareness about dementia and sharing suggestions/ information that could help dementia caregivers in India. The main reason I pushed myself to do what I could was the sheer paucity of material that Indian caregivers could relate to–material written assuming an Indian context. Lack of material in Hindi was one of my concern areas. I tried involving others into creation of Hindi material, but no one stepped up to actually doing work (Alas, material doesn’t get created by clicking “like” on Facebook). I tried using paid translation services, but their translation was too literal and full of grammar and spelling mistakes and misleading phrases. So I began preparing material in Hindi myself–I created a full-fledged Hindi website on dementia and care, added a couple of Hindi videos to my youtube channel, and uploaded some Hindi stuff on my slideshare.net. A Hindi blog on dementia and care: While I’d initiated a Hindi blog a while ago, I had not been making posts in it. In May this year, I began posting more often on this blog, beginning with a topic I considered very important: Dementia names in Hindi डिमेंशिया को हिंदी में क्या कहते हैं. The blog now has 16 published posts, and I’m comfortable enough to now announce it here. The blog is at डिमेंशिया (मनोभ्रंश) और सम्बंधित देखभाल. A short, simple Hindi note on caregiving: This was the Hindi version of a simple caregiving note I’d written earlier. The Hindi note is uploaded on slideshare.net. You can view it at slideshare or in the player below. Two Hindi videos on my personal experiences as a caregiver: One activity lying on my to-do list for a while was sharing my personal caregiving experiences in Hindi. I’d already created such videos in English. Talking about my personal caregiving experience is always difficult, and it took me a lot of rallying around to finally do the recording in Hindi. It was tough and draining. I finally selected out two segments of what I taped and uploaded it on my personal youtube channel at swapnawrites. (This is different from my other youtube channel, dementiacarenotes which contains videos with suggestions/ tips/ information for other caregivers, and is associated with my websites Dementia Care Notes/ Dementia Hindi). So that’s what I’ve been doing to add my bit to Hindi material on dementia and caregiving. I am not fluent enough in other Indian languages to prepare material in them, and I hope others, fluent in various Indian languages, will consider sharing information and suggestions in them. I consider it a pity that most material in other Indian languages is material that was written for and by persons in countries other than India, because that material assumes a cultural context and level of support very different from what we face here, and hence not always practical for us here. A request: If you are concerned about reaching audiences that read/ understand Hindi, please do check out the above. If you think they can be useful to others, please consider telling people about them, linking to them from your websites and blogs, and sharing them on social media. Thanks! Early diagnosis and better medical support will be possible: With higher awareness levels, a person’s symptoms will be recognized as possible signs of dementia earlier by the persons suffering from them and/ or others who interact with this person. Persons with dementia may seek help earlier, and so may their families. Physicians and specialists may go through the diagnosis process (instead of dismissing concerns as old age or personality changes, etc.). Diagnosis may happen at the early stage itself, and a suitable mix of advice and medical support can improve the quality of life of the person. Societal support for families coping with dementia will increase: An overall societal acceptance/ understanding of the realities of dementia will make it easier for families to explain their specific situation and ask for help. An open, stigma-free recognition of dementia will mean that persons with dementia and their caregivers can ask for and receive appropriate help and support from persons around them, such as from friends, relatives, colleagues, etc. Persons around a family coping with dementia will be more understanding and supportive, and not mock at the person’s symptoms or suspect the caregivers’ motives/ actions. Dementia and care situations, experiences and tips will become part of normal public conversations: With dementia and care challenges out in the public discourse, dementia will increasingly be incorporated in various arts and productions. More movies, stories, etc., will include dementia situations. When some people start opening up about their personal experiences of dementia, others will, too. Experiences and tips will be shared, creating a supportive community. This will be very different from the current scenario where each family goes through its own learning curve in isolation and gets overwhelmed. Dementia and care topics may become part of educational systems. So students may be better educated on this, thus adding to overall societal awareness levels. Dementia related professions and careers may become viable/ attractive options: Persons considering career options may want to work in dementia research, or in offering dementia services. Entrepreneurs may be attracted to set up ventures: When entrepreneurs realize the growing need for dementia-related products and services, they may invest in them. This can further be facilitated if nodal bodies also create guidelines and standard project reports for potential services that such entrepreneurs can use as starting points. Corporates may include dementia projects in CSR initiatives: When a cause becomes prominent, it can attract the attention of corporate CSRs and other such entities, who may then take the awareness campaign forward some more steps by actively working for it. Or they may design products and services or sponsor research or help conduct studies, such as epidemiological studies, or fund the research required for preparing reports, and so on. They may even decide to adopt a city/ town/ locality and make it dementia friendly! Misinformation can be removed by the availability of abundant, authentic information: Currently, many myths and misinformation campaigns exist around dementia, including misleading “miracle” products and services that make tall claims about what they can achieve. These are able to thrive because genuine information is not available. Good levels of dementia awareness will squash such misinformation/ exploitation. Overall willingness of persons to participate in the dementia cause will increase: This may be in terms of willingness to take part in clinical trials and other studies, do volunteer work, etc. Essentially, as dementia awareness grows, the advantage is not just the increased quality of life and support for persons with dementia and their families. There is a high likelihood of a multiplier effect as more and more persons get drawn into the cause and participate as advocates, volunteers, professionals, product/ service providers, and so on. Often when thinking of how awareness can help, volunteers do not give enough weight to the way awareness can snowball to create a movement. Yet awareness is not just the foundation required for more work on dementia and caregiving; awareness is also the motivator that can make some persons concerned and involved enough. In my opinion, awareness has the potential to create a transformative movement to address this serious area. Let’s face it; we just don’t have enough funds and persons to do all that needs to be done for the dementia cause. Therefore, we must use these limited resources available for the dementia cause by choosing projects carefully, after duly evaluating the trade-offs. For example, if we focus on and spend effort on creating a “dementia village” or a superb respite care, or making one city meet the criteria of a “dementia friendly community”, that may mean that we have to drop some other project. Whatever initiative is chosen, dementia awareness is a foundation, and everyone involved in that initiative will anyway need very good levels of sensitization to dementia realities and also skills for supporting dementia. So an awareness campaign is anyway an integral part of any project. Running such a campaign in a well-designed, effective way is therefore unavoidable; the only aspect to debate is on the scope of such a campaign–should it be just one city/ facility, or a state/ region/ nation? Scalability may be a factor worth examining. We have no justifiable basis for deciding that only a particular city should benefit from the deployment of common resources. The estimated persons with dementia in India in 2010 were 37 lakh (3.7 million), and if we think of the family members and close associates trying to support dementia, the number of affected persons is even higher. This number is increasing every day. To focus scarce resources on just one city means ignoring other cities, other states, other regions. Focusing on big or medium cities ignores smaller cities, villages, tribal areas, and so on. How can such selective focus be justified? Surely any nodal body approach needs to embrace diverse populations first. The number of persons who may benefit from a local, focused effort is very low. A local effort may benefit dementia-affected persons in a local populace. On the other hand, the number of persons who may benefit from widespread awareness campaigns is much higher. Awareness campaigns can reach distant corners and a wide range of persons in ways that focused-location efforts cannot. They are more inclusive. Awareness is an effective approach when resources are scarce, because when awareness increases, there is a multiplier effect and more people are drawn to the cause. More people get concerned and may take initiative and pick up the skills that will further improve the situation. Awareness can create a far more widespread self-sustaining model of citizen involvement than a localized effort may. Some types of focused initiatives don’t create any advocates at all. One contender for time/ effort of volunteers is setting up services like respite care. A lot of investment goes into setting up a good facility that may benefit a few people, maybe 10 or 20, maybe somewhat more. Yet once the person with dementia passes on, the families do not necessarily contribute back their time and effort to the cause. They may not become advocates either; most of them have used this service because they were overwhelmed and later, they “move on.” While we definitely need respite cares, we have to appreciate that these cannot replace the priority we need to give awareness campaigns. So yes, we need models of good dementia care, we need centres of excellence, etc. Focused efforts for ideal respite care, ideal dementia friendly city, and so on, can create nodal points that demonstrate and disseminate best practices. But again, we have to weigh the resources required and see the trade-offs. My contention is that the potential gratification of creating a small but visible centre of excellence should not overshadow the broader and more inclusive benefits possible by spreading awareness. We may need solid work for such awareness campaigns, but we must not forget that a well-designed awareness campaign can create a paradigm shift. Efforts by persons who talk about their dementia-related experiences at an individual level in private circles: This is not very common in India as most caregivers do not talk of their experiences at all, or only talk to close friends. While important and good when it happens, it is much, much below the levels when it could make a transformative difference in either visibility or information. Also, as many caregivers have remained overwhelmed and less-informed through their dementia care journey, what they share is often more focused on problems faced and may lack any effective tips/ suggestions or reliable understanding of dementia. Efforts by volunteers/ concerned persons/ caregiver alumnus who are informed and articulate: Unfortunately, such dissemination is very local in scope, and again, not sustained and intense enough to be transformative beyond the immediate circles. Also, persons working on spreading awareness like this often have other projects, too, and the awareness aspect does not get their ongoing, uninterrupted attention and does not pick up momentum or coverage. Efforts put in across the nation for the few days corresponding to World Alzheimer’s Day or some such event: For a few days a year, dementia gets some space in newspapers and some visibility as “walks” and “talks” because there is an event that triggers it. Even in this, newspaper reports, often written in a hurry, contain inaccuracies. Coverage remains shallow, and not informative enough, but yes, for a few days, there seems a chance that awareness is being worked on. Then the event passes, and the momentum fizzles out. Worse, initiatives that were announced or facilities that were inaugurated may fall to the side. All these efforts are too sporadic and scattered to add together and create the momentum we need. There is no centralized database that volunteers can draw upon for material that can help (like slides in various languages, videos, etc. ), so individuals trying to spread awareness essentially duplicate quite a bit of effort. Also, some information they disseminate is loosely worded or even incorrect, adding to misinformation. There is no validation of the quality of information spread by volunteers. There is no framework wherein individuals can contribute smaller packets of effort towards the awareness campaigns. So many persons who may have spoken up (if they had the encouragement and a framework to fit into) do nothing. There is no check on mistakes made in media reports, which sometimes, written in a hurry and eager to be captivating, end up making mistakes. No corrections are printed. In my opinion, the current efforts to spread awareness fall woefully short to what we in India need as a nation likely to face increasing numbers of dementia cases. I am not aware of (and I’d be happy to be corrected) any sustained, well-designed, nation-wide campaign for spreading dementia awareness. Let me, however, describe what I think can be useful. The campaign design should be made suitable for low-literacy/ illiterate audiences, possibly by exploiting audio and video media, TV, plays, etc. The content included should address dementia symptoms and progression, practical examples of impact of dementia on the life of the person and family, and general tips on how to interact with the person and empower them. The content should not in any way imply that Alzheimer’s is the only cause of dementia, or that memory loss is the only/ main symptoms, or that it happens only to old persons. The campaign presentation should be easy to understand and remember and make dementia more immediate to the target audience. It should convey that dementia can happen to anyone, and also that anyone can be thrust into the role of a caregiver. The presentation should not be alarmist/ negative in its portrayal. The campaign should make it clear that caregiving is tough and exhausting, and is well beyond the normal tensions of supporting mentally alert elders. It should make it clear that caregivers need support, not criticism. The campaign can be powerful and effective by suitably integrating relevant social psychology concepts. It should be well-designed, and be carried out on a sustained basis. The message/ concepts will not stick in the minds of the audience in the first instance; the messages need to be repeated in various ways. The campaign should negate myths and misinformation. It could use society role model/ celebrity interviews or other such means to remove stigma or negativity or secrecy attached to dementia. It should also remove any stigma/ societal judgment related to caregivers feeling overwhelmed or stressed. Supplementation of campaigns with authentic information available in multiple Indian languages. Supplementation of campaigns with information centres/ helplines that provide more information and clarifications. Of course, this is far from enough when it comes to what the dementia cause needs. We need more products and services. We need support systems. We need financial support. Yet I feel that awareness is how one can kick-start the process, because once more people understand that dementia can happen to anyone, that anyone can be a caregiver, that current medication cannot prevent or cure, more people will be concerned. They will put pressure on the government for resources. They may volunteer. They may set up services. So much needs to be done that we need every helping hand. We cannot get the momentum and energy we need for the cause if we don’t improve awareness. Without more awareness, we will just continue to have a handful of persons, working for an ever-growing population of families coping with dementia. Edited to add: If you are concerned about dementia/ care in India and are a volunteer/ potential volunteer/ just want to know more, please do check out this page: Resources: If you want to help caregivers/ spread dementia awareness. This page includes links to several discussions on areas that individuals (or groups/ corporates) can consider for contributing their own bit for this cause. There are also several resources/ documents that can be viewed/ downloaded in this section. For the last few months I have been making Hindi material for supporting dementia care and uploading the material to make it available online. Here’s a short blog entry on my experience so far. The background: Over a year ago I started worrying about the paucity of online (and print) material in Indian languages for dementia caregivers. This “worry” was active enough for me to wonder what I could do about the lack of material. My concern was spurred after someone in Madhya Pradesh contacted me – he was using Internet on his mobile and wanted material in Hindi so that he and his family could better support an early-onset dementia patient. I helped him through phone calls and by sending across some material I had. However, I felt concerned about how difficult things must be for someone like him who wanted support. Around July/ August last year I started exploring options for creating Hindi material myself. A few months later I made my first Hindi video and placed it on youtube, and in December I shared my thoughts and experiments in a 4-part blog entry (For part 1 of this series, click here: Adventures in Hindi Part 1). Creating material in Hindi was not easy work. I did not have conventions to follow about the type of Hindi and the way dementia is explained in Hindi; I had to base my decisions on approach and style on the experience I’d had providing help in Hindi over the phone and in person, and, of course, my instinct as a caregiver and a volunteer. Typing posed its own challenges, as typing in Hindi is done using transliteration, so one has to remain alert about when this transliteration messes up spellings. Plus, of course, my Hindi needed brushing up. One more deterrent was knowing that creating online material in Hindi was essentially a gamble. I knew people checked online for cricket scores and gossip about superstars in Hindi, but I had no idea whether people were looking online for information on dementia in Hindi. Even if there were such people, I had no idea how to let them know about my site so that they could check it out for at least some pointers to help them. But I can be stubborn when I want to, and so once I decided to try my hand at it, I continued to create and upload stuff in Hindi, let some people know, and leave the rest to word-of-mouth, google, cross-links…. So, what’s been my experience so far? I’m relieved (and happy) to say that people have been visiting the Hindi website and viewing the videos. Not in droves, no, but enough for me to feel that the effort was worth it. Especially so as some visitors are from far-away cities I have no contacts in, such as Jamshedpur, Lucknow, and Indore in addition to the expected Delhi and Mumbai. Not all visitors are from India, interestingly, and apart from places like the USA and UK, I’ve also had visitors from the Nepal, Qatar, UAE and others 🙂 Some persons have even contacted me using the contact form, sending their queries in Hindi (typed using Roman script). (I responded the same way). The videos have been viewed, too. Anyone who has checked out youtube for dementia information in Hindi would have noticed that available material (other than mine) is usually dubbed interviews, and some translated authoritative informational presentations. Overall, the list is so small it takes barely a couple of screens. So when I uploaded my videos, I had no clue whether anyone would even reach them. But of my 4 videos, 3 have been up for some months, and each of them has a viewership of over 200. Is that good enough? Is it bad? What number does one compare it with? The beauty of online material is that once it is up and available, it remains available without additional effort, and so more and more people can view it as and when they become aware of it or get a link or locate it in a search. My summary so far is that yes, there seem to be persons who will read material or view videos in Hindi (and possibly other Indian languages) if these were made available. I think catering to this potential audience is just not being taken as seriously as it deserves. I’d also like to share that I sometimes meet volunteers in India who feel that there is already enough online material on dementia care and nothing more needs to be done on this front. These volunteers are often part of forums where they regularly exchange links to the same articles, recommending them to each other (not always reading them, but assuming others would benefit by doing so). I remember a comment one person made after he read some of the standard caregiver material he’d downloaded from one non-Indian site; he said he’d shown it to his family but they discarded it because the persons it showed were not Indians and the houses they showed were not middle-class Indian and the methods they described were not directly usable in India. (Like bathing tips that assume baths in tubs, I suspect) “We are not like these people; their ways won’t work for us,” he told me. His comment reinforced my impression that a good caregiver manual written by an Alzheimer’s support organization in some other country cannot always be used directly by all sections of people in India. So, in my opinion, there is not enough suitable material in India given the diversity of our people, the sheer number of languages, the geographical and economic spread, the enormous awareness gap to bridge and what not. The gap between what is needed and what is available seems huge to me. And here is my request to you, whether you are a volunteer or a caregiver who has experiences to share: if you are comfortable enough to create material in an Indian language — whether just talking of your experience, or sharing some structured material or some data — please do consider it. The online space is open and waiting for you. Maybe the material you create or the video you make will not go viral. There may be no award to be won. There may be no appreciation/ brownie points from peers. But the one person who reaches your material could be someone whose life will be made different by reading or hearing what you have to say. Every September, those of us whose lives have been changed by dementia find ourselves introspecting about the environment around persons with dementia and their caregivers. We find ourselves building up hopes that in future, the dementia and care situation will have more dignity, an improved quality of life, and more support. Years of being the main caregiver for my mother has made me deeply concerned about dementia awareness and care in India, and I, too, ponder on these issues. A few weeks ago, I saw a report that discussed how many existing “frames” used to depict dementia are negative/ unproductive and how alternate frames should be used to depict a positive picture and convey the nuances. Then, as I was still piecing together my thoughts on the matter, I realized that the theme for World Alzheimer’s Month 2012 is “Living together”. Alzheimer’s Disease International also plans to release a report on the stigma aspect. I look forward to seeing that report. …and I’d love to hear your thoughts, too. I see persons with dementia as major stakeholders in any dementia-related strategy. We already have millions of persons with dementia who try to navigate their lives in spite of the disadvantages dementia imposes, and we have millions of caregivers who try to understand and support them (but don’t always manage to). Medicines and research are also important, of course, and must go on in parallel, but medical research cannot be the sole focus. A world without dementia is pretty far off, because hey, we have millions with dementia already here amidst us, right? Also, current medications are few, not applicable for many diseases that cause dementia. These treatments work on some persons but not others, have side-effects for some persons, and do not reverse dementia. It will take years of intense and sustained research to create enough effective and safe cures adequately tested on humans. In the meantime, many people continue to “Live with Dementia”. So I really like this year’s theme: Living with dementia. I like the fact that it focuses on people, on their situation and surroundings, and shows sensitivity to the discrimination and stigmas they may be facing. Living with dementia seems like a wholesome focus. Not struggling with dementia, trying to “defeat” it, or “surrendering” to it or “giving up” or being seen as “negative” or “lacking faith.” Instead, accepting what is there, working with what can be done, focusing on improving quality of life, retaining connections, leading enriched lives to the maximum possible extent. Dementia care cannot depend just on medical support. It cannot even depend solely on the institutional infrastructure available; most of dementia care occurs in home settings. The care therefore depends a lot on the environment around it: the combination of images and stories around dementia, such as how society perceives the symptoms, the conventions for interacting with people showing such symptoms, the available body of caregiving knowledge, perception of the role of doctors and medication, and so on. Published caregiver manuals and guidelines are only a fraction of the environment around dementia care; the overall environment combines multiple factors like culture and religion, information available in articles, credibility of sources, newspaper depictions, depictions in fiction, mythology and movies, the history, and the societal conventions of how elders and people behaving strangely and differently are treated. Let’s consider the dementia journey, which typically spans years, even a decade or two. In January this year, during my blogfest, one work area I identified was: Design a simple and structured way for dementia care volunteers in India to access relevant documents and resources created by me without their needing to contact me..
Over these past few years, while trying to help other caregivers and during my interactions with like-minded volunteers/ caregivers, I have been preparing various documents and wishlists; I have always shared these openly with anyone who contacted me and seemed interested. These persons could use the ideas and information that helped, and ignore the rest. They could also give me feedback that I could use to improve the documents. Around December last year, I realized that my existing modality of sharing was not sturdy and effective because it depended on chance contacts and was time-intensive. I must also admit that, being a social recluse, I am intimidated at the very thought of scaling up my availability for person-to-person contact. I finally created a special section aimed specifically at sharing resources with volunteers working in dementia care in India: Resources for volunteers helping caregivers. Here’s my intention: whenever I create a document that I think could be of use to other volunteers, I will add it to this section, either in an existing page of the section, or by creating a new page. This could be a wishlist of areas that need work, a document explaining dementia home care in India, or a document with my ideas on how to actually provide a service. Whenever I create a blog entry that is specifically relevant (in my opinion) to volunteers (and is not just a hodgepodge of ideas) I will add a link to the appropriate page in this section. I am leaving comments open for people to add their feedback or other links they find useful. This section contains my views, opinions, documents. I am not an expert in any way, not even someone with an NGO or a trust or any qualifications as a volunteer. I am just a caregiver who developed a commitment to help other caregivers. I am just someone trying to do whatever I can, and share whatever I think and do, as honestly as I dare to. I undertake no implicit or explicit guarantees that the documents I am sharing are relevant or will help; I am creating this section because I strongly felt I need a space for such document sharing. How others use them is for them to see. Of course, I welcome feedback. Take, for example, the setting up of support groups for caregivers. We so desperately need such groups. Around the middle of last year, I had drafted a document for creating caregiver support groups for a volunteer body, and then, a few months later, amended that to fit “dementia” caregiver groups for another person keen to set up a group. I know of at least three other persons who have wondered whether they can set up a support group, and what would be involved. There may be many more persons thinking of this. Now, the draft document I have created is available for anyone to read and use as fit, send me feedback, whatever. If someone sends me more ideas, I’ll amend the draft as suitable. The section is intended for volunteers who want to equip themselves to understand and help dementia caregivers in India, and includes discussions on the status of dementia care in India and the impact of culture and context. Pleave have a look or share the link with anyone who you think may be interested. Thank you!